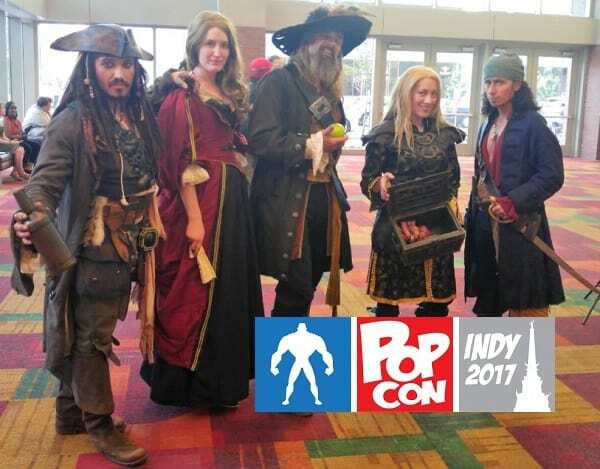 One of the many guests at Indy Pop Con this year was Matt Ryan, who is known by most for his leading role in the show Constantine and as the voice of Edward Kenway in the video game Assassin’s Creed IV: Black Flag. He had a panel on Saturday of the convention, talking about his past projects as well as what he might hope to do in the future. His first job after graduating from drama school was with the Royal Shakespeare Company. He said that he prefers gritty drama over Shakespeare-type roles, though he would love to play Hamlet or Richard III as a way to challenge himself. He talked a bit working on Assassin’s Creed, as you can see in the video below. An interesting tidbit is that when he first auditioned for the role, they did not tell him that it was for a video game. On the subject of Constantine, he talked about how he initially had to jump through a lot of hoops to get the role, as he had been doing a play in London at the time and was unable to fly to Los Angeles and audition. They had not found anyone for the role by the time he finished with the play, so he immediately hopped on a plane, chopped off his hair and beard that he’d grown out for the play, and was able to get an audition. In doing research on the character, a friend advised that he read Dangerous Habits. It immediately stuck with him, and is his favorite bit of Constantine from the comics. 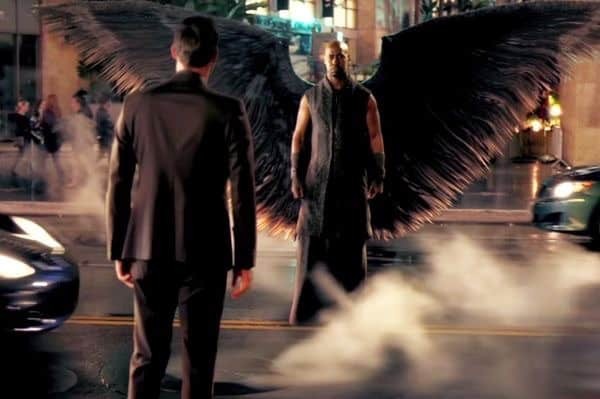 Constantine executive producer David S. Goyer even told Ryan to just walk around Atlanta in his costume to get a better sense of the character, so he would often do that at night. Ryan read all of the comic books that he could and would constantly carry one around with him, and would use that as reference if he was unsure of how Constantine would do something. The writers on the show would give him the spells used in the show as far in advance as possible, and he worked with a language coach to help him get the pronunciations right. He worked so hard on them that we would go to bed with them still running through his head! After the show was canceled he stopped reading the comics, as it would have been too disappointing to him and would have given him too many ideas. There had been plans to work the character of Jim Corrigan into The Spectre, and Ryan stated that he would have loved to work with Zatanna on the show. Ryan did take a couple of items with him after the show ended, and has the outfit still in storage in LA. He said there were so many trench coats that he sort of just took one out of spite. One of the lighters also made its way into his possession – though he had to be a little trickier in taking that particular item as the crew was keeping a close eye on it. Some other items he took with him included crystals and books from the mill house. 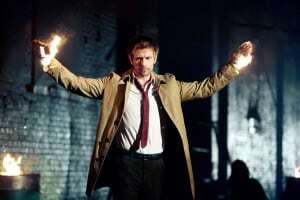 It was a pleasant surprise to be have the chance to revive John Constantine in an episode of Arrow. 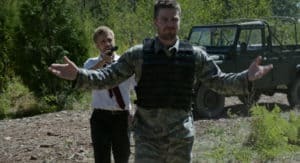 It was very last minute, and the producers of Arrow were able to work into his schedule since he was about to start a play. The first scene he filmed was when Oliver had him at gunpoint on Lian Yu and it took him a little while just to find the walk of the character again. He ended up walking a little like a duck at first – much to the amusement of the cast and crew! He also stated that he initially did not pick up on the significance of his character scratching his back with a peacock feather in the episode – it was not until later when fans reacted to the moment that he had a laugh over it. Ryan enjoyed working on Justice League Dark because it gave him to interact with character like Batman and Zatanna, which likely would not have been possible on Constantine. He would also like to work on the Injustice video games as John Constantine for the same reason. One interaction he would like to see is Constantine and the Joker – he thinks they might get on a bit, or at least share a laugh before Constantine beats the Joker up. When asked by a fan if he would like to see Constantine as a season regular on Legends of Tomorrow, he said that he would. 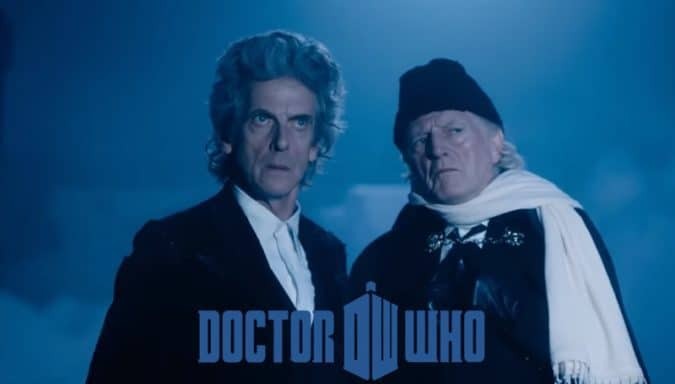 He would love to see what those writers might bring out of the character and how John might get on with the rest of the team. While those are all possibilities for the future of one of Ryan’s most well-known roles, we still have the Constantine animated series to look forward to on CW Seed. 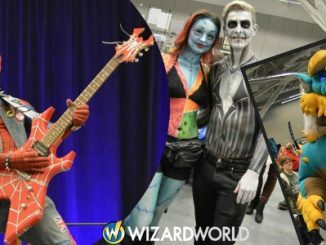 One thing that has him excited about the series in that they will be doing more voodoo in it. The panel was an enjoyable time for all in attendance, and Matt Ryan seemed to enjoy the time interacting with his fans that weekend.